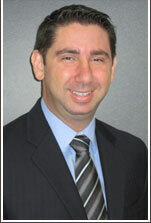 Darren Friedman is a founding partner and principal at Foreman Friedman. He has extensive litigation and appellate experience and specializes in handling complex civil litigation including commercial, admiralty, personal injury, and medical negligence claims. Mr. Friedman practices in both federal and state courts and has dozens of published opinions. He has provided representation for cruise lines, cargo lines and other vessel owners, hotels, tour operators, travel agents and those involved in the hospitality and tourism industry as well as many other corporate and small organizations. Mr. Friedman specializes in, and often provides, crisis advice and management. Mr. Friedman routinely handles appellate matters for the firm’s clients and has argued numerous appeals before the Third District Court of Appeals; as well as drafting briefs for presentation before the Florida Supreme Court, the 11th Circuit Court of Appeals and the United States Supreme Court. Mr. Friedman is rated AV® Preeminent™ by Martindale Hubbell Peer Review Ratings, indicating his peers rank him at the highest level of professional excellence in terms of both legal ability and ethical standards. Mr. Friedman has also been published in numerous trade journals.